Overview... a family man at heart. 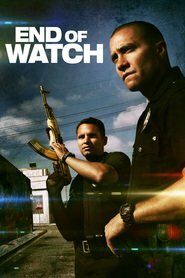 Miguel has a hard time explaining to his wife that he couldn’t imagine working any job other than the one he has as a beat cop in the extremely dangerous neighborhood of South Central LA. Miguel is regularly called upon to investigate the violent gangs that run that part of the city, a meaning he risks his life almost daily. When the bullets and curses start flying fast, he can only depend on his 9mm and his partner, Brian Taylor. Personality… loving, loyal, but spunky with an ear for insults. Miguel spends most of his time making fun of his partner Brian, keeping himself entertained by chewing Brian out for liking coffee and other “white” things, whether true or not. Deep down though, Miguel understands that his bond to Brian and to the badge is eternal. Miguel Zavala's popularity ranking on CharacTour is #3649 out of 5,000+ characters. See our top-ranked characters and read their profiles.